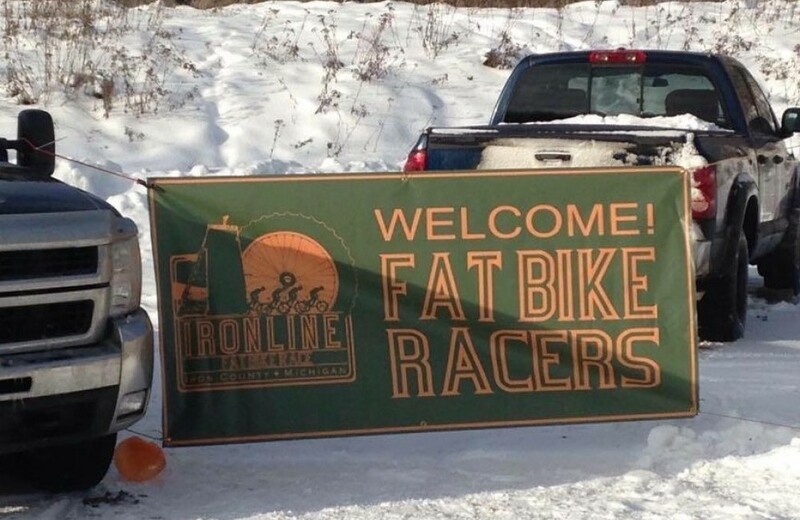 In late January we headed up to “da U.P.” for the Ironline Fatbike race, the 4th race in the Great Lakes Fat Bike Series. 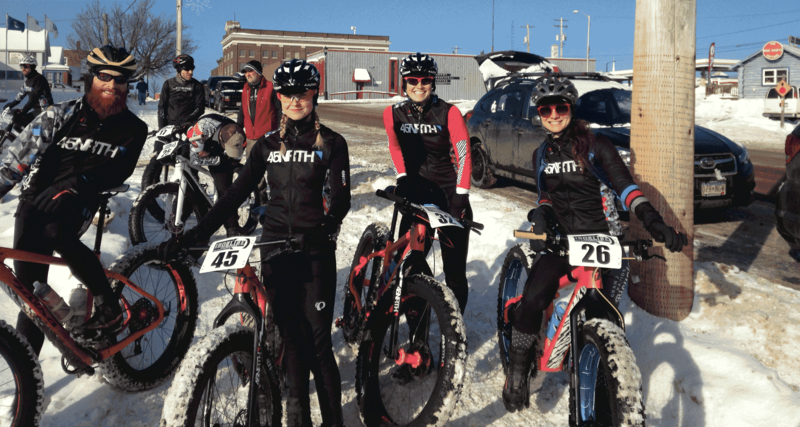 As this race was held in combination with a sled dog race, we knew we had quite the adventure on tap. So, with huge anticipation we loaded up the Subaru and began the trek towards Iron River, MI. Iron River? Where on earth is that? It's about five hours north of the Twin Cities in Michigan's Upper Peninsula, with a population of just over 3,000. Prior to this trip I had never heard of this town, and without this race on the series calendar, it's likely I'd never have paid a visit. As we made our way through Wisconsin, I got to thinking about all the cool places my bike has led me over the past few years. Marquette, Leadville, Emporia, Traverse City, Crosby, Prescott… a handful of cites that come to mind. I’ve seen some beautiful sights and ridden some incredible trails. I've learned that it's hard to beat the excitement that comes with not knowing what's around that next turn, and also I've learned that life is a lot simpler in other parts of the country. I've submersed myself in some neat cultures, met some amazing people and built some long lasting friendships. This past weekend was no different as I got to see firsthand the genuine kindness of the Iron River community. I also got the opportunity to pet some sled dogs and bombard their mushers with millions of questions. I am so intrigued by their lifestyle. The mushers seem to have a quiet, laid back seriousness about them that I truly admire. Unlike us fat bikers goofing around post-race and having a bunch of beers, they are a bit more reserved. Yet, when they speak about their chosen sport they seemed to share that exact same twinkle in their eye. Naturally, I was humbled by the hard work of the athlete dogs and their humans. It's truly amazing, all that goes into making a great sled dog team! Admittedly, I was even jealous… especially of 4 dogs that were taking a post-race nap on a pile of hay. I want that kind of life! 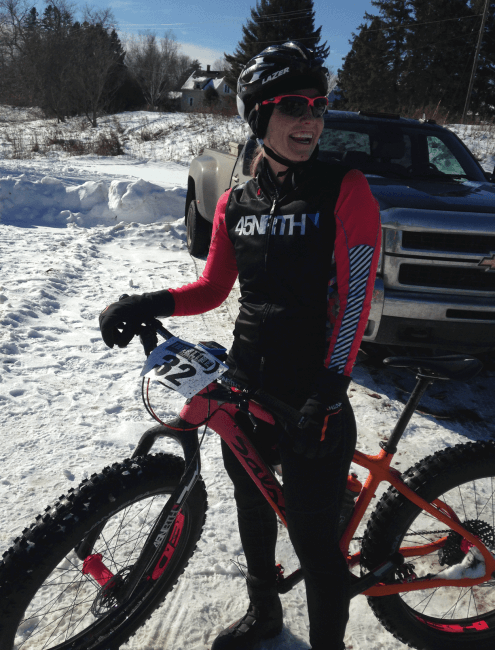 The fat bike race was held on a trail that was mostly separate from the sled dog race and took us out and back across 12+ miles of Iron River. Warm weather made for soft racing conditions, but I enjoyed every mile of this challenging trail that I'd never ridden before. I could also tell this race was a big deal to this small town. They had volunteers on nearly every corner and one local Sherriff even slowed down to take my picture as I rode by. The highlight of my ride was sharing the final stretch of trail with a musher gal and her pups. Now that's a pretty cool experience that you can't find in a lot of places! One other great thing about racing well in a small town… you're likely to leave with a nice local memento of the experience. 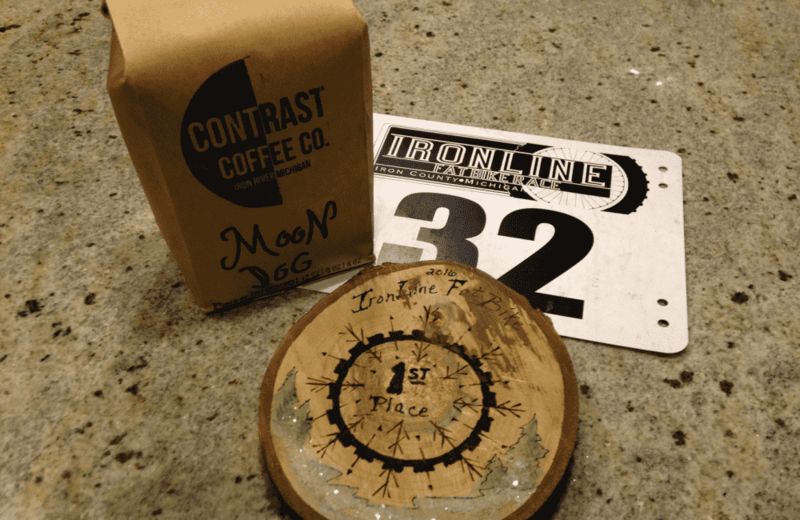 I was honored to take home this bag of Moon Dog coffee beans from Iron River's Contrast Coffee Co., and a beautiful handmade award. If you look closely, you’ll see it’s also been freshly branded by the slobber of one of the cutest sled dogs ever. Now, as sit here back in the Twin Cities, I feel a rekindled fire to continue to plan my weekends around epic bike events no matter where they might be. I know that my next adventure is merely a road trip away, and the smaller the town…the bigger the experience. I encourage you all to do the same thing. Now mush!